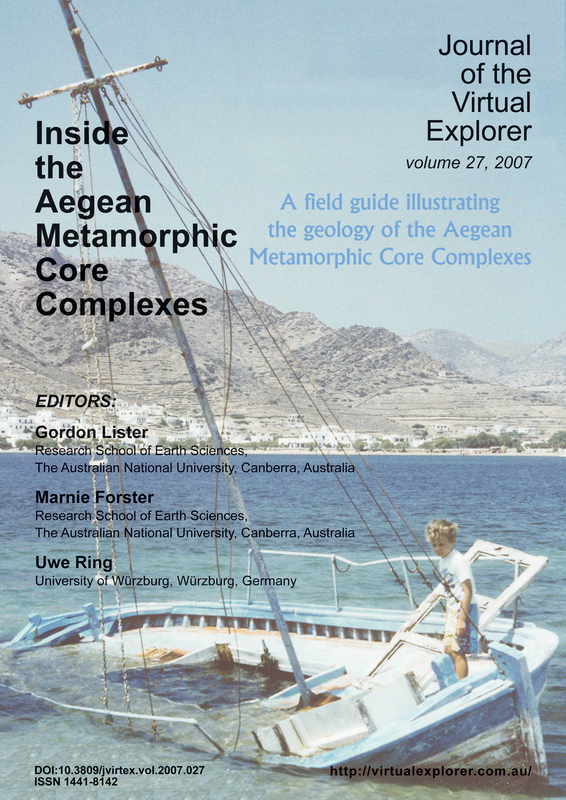 The Aegean metamorphic core complexes were discovered as the result of a thesis study conducted by Greetje Banga (1983), when she was at the Institute of Earth Sciences at the University of Utrecht. She conducted one of the first studies of the fabrics and microstructures of the Cycladic islands. Her work lead to the recognition of the major ductile shear zone that forms the mylonitic carapace of the Ios dome). Banga’s thesis provided the basic data that led to the hypothesis that ductile stretching of the Aegean continental crust had taken place during Oligo-Miocene extensional tectonism.